Before the inage coast was landfilled, in the sea of inage the night of the new moon, a fishing called "Yotoboshi" catching fishes with the light of the cantella, was popular among this area. In the tidal pool after the wave is pulled, many shrimps and fish are said to have been acquired. 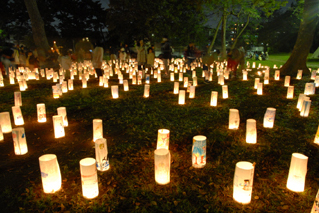 Yotoboshi was inspired by the scene that the lights of lanterns turning one by one on the Inage harbor. Decorated handmade lanterns and bamboo lanterns made by local elderly and children on Sengen street and Sengen shrine, Inage light festival "Yotoboshi" illuminates people who live in the area every year as a new light to illuminate the town. 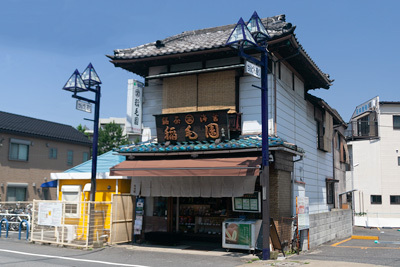 Inage Sengen Shrine is located a few minutes on foot from Keisei Inage Station. 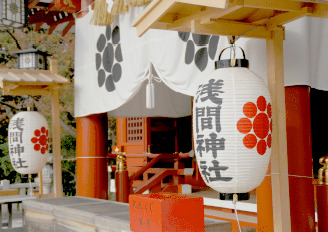 This shrine that worships Sarutahikono-Mikoto, Konohana-Sakuyahime,and Ninigino-Mikoto has a long history and history of 1,200 years and the pine trees which have a stern appearance and the pine woods continuing from the precincts to the sea side and the Inage Park have been familiar to people in Inage from long ago. 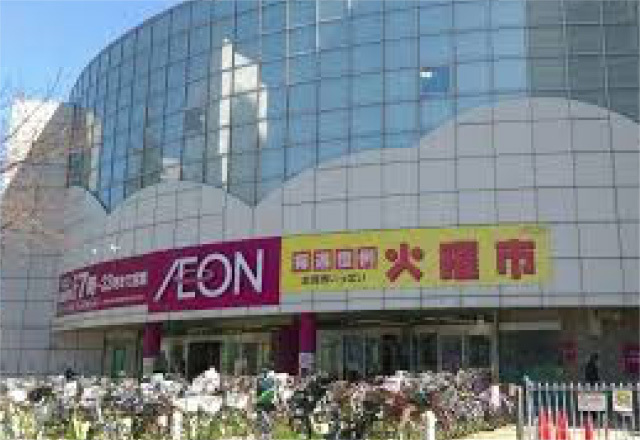 In addition, One of the largest festivals in Chiba, the "Inage Sengen Street Festival" is held on July 14th and 15th every year and boasts 300,000 visitors. About 600 special stalls are on display along the hill for two days and it is the special term of the year since childhood for the inhabitants, and the town is crowded. In "Yotoboshi", bonfire is set and the "Juni-za Kagura" that is designated as a cultural asset in Chiba prefecture is held. One week before the main festival, there is also an event titled "Senzoin Pre-Yotoboshi". The former Kamiya Denbei Inage Hare Villa, designated as a registered cultural asset of the country, is one of the buildings that revitalizes the time that Inage had gained popularity as a resort for the people of Tokyo. 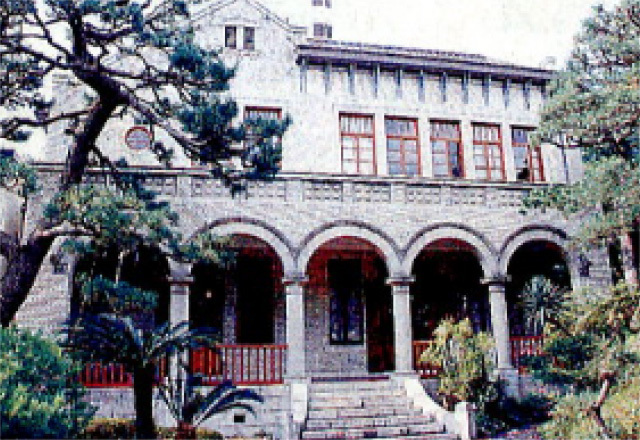 This building is established by, a businessman in Meiji era who was called called a "Japan's Wine King" that introduced the wine manufacturing business from France as a villa and a guest house. It is a rare reinforced concrete construction at that time and Western-style building in the early days and has become a very valuable architectural historic site nationwide as an early reinforced concrete building. Currently various events such as exhibitions and local events are held and become one of the citizens' resting place.